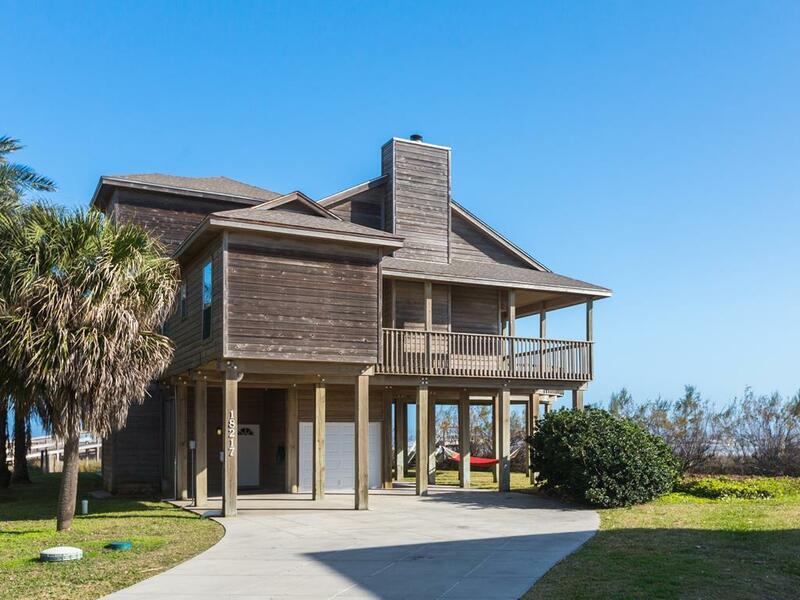 Stunning beachfront Gulf views, updated interior, huge deck, wood fireplace & 2 dishwashers! 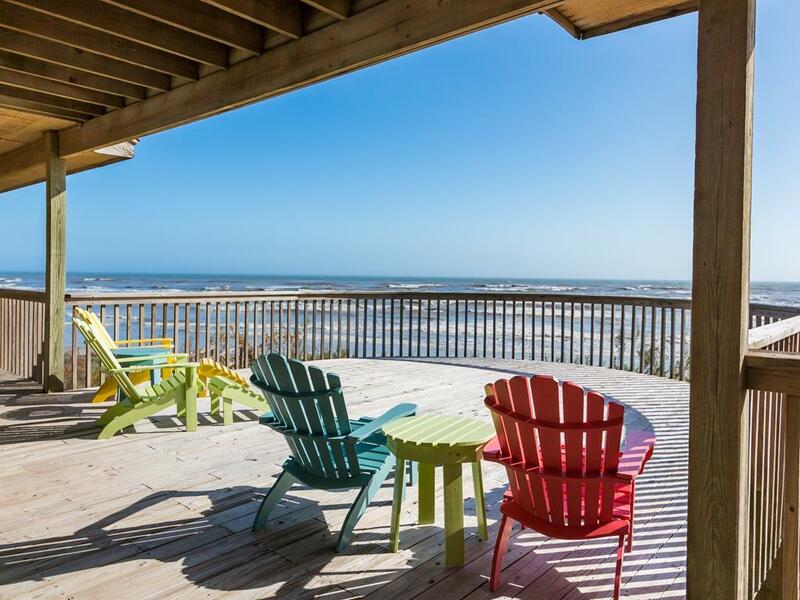 Spacious & luxurious, this Galveston vacation rental is perfect for couples or multi-generational families. 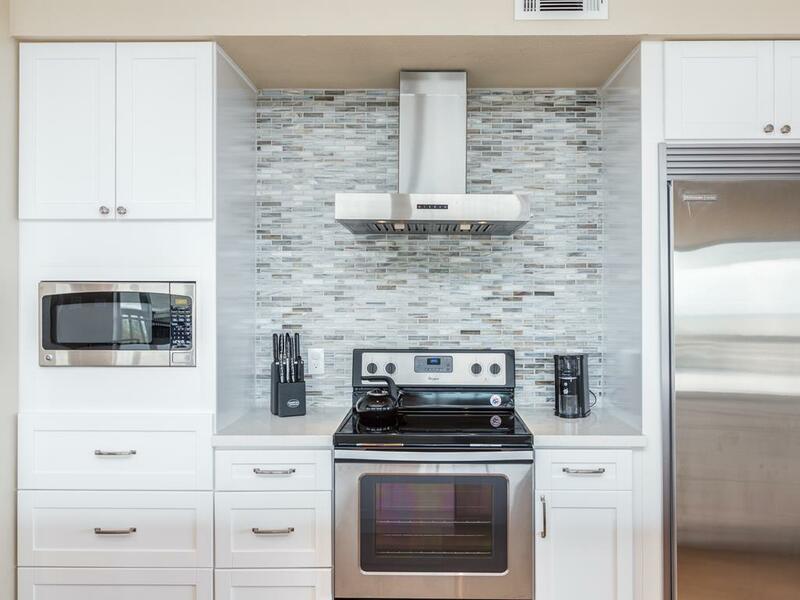 The main level boasts an open plan with a cozy fireplace in the living room and a beautifully updated kitchen with a large refrigerator, subzero freezer & extended breakfast bar. 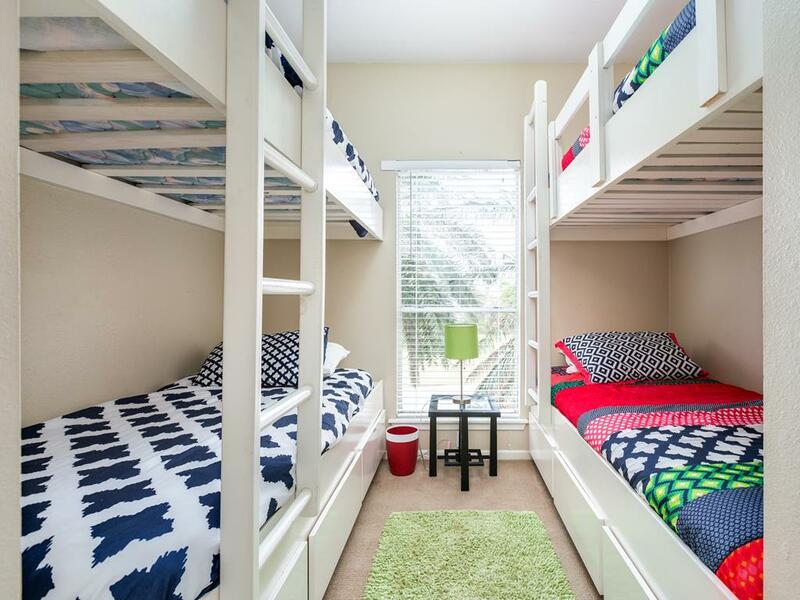 There are also 2 queen bedrooms, 2 bedrooms with built-in twin bunks and a queen suite on the main level. 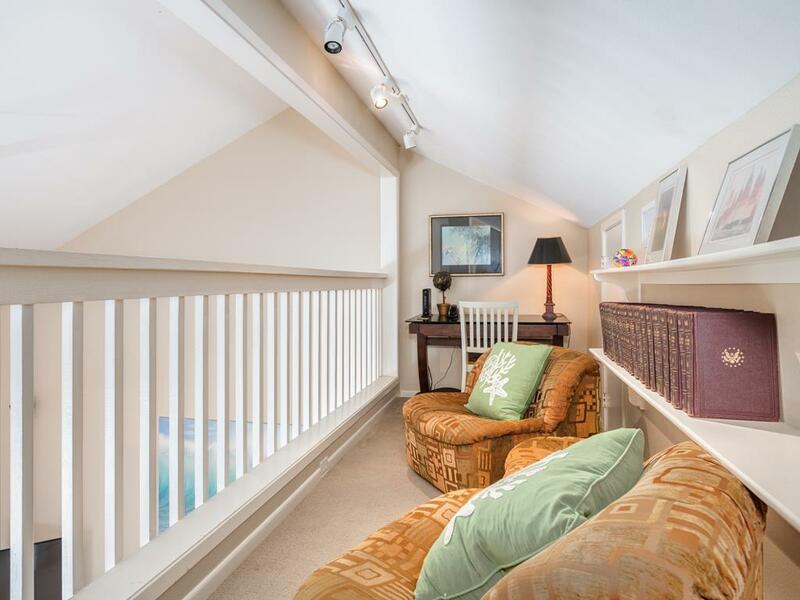 Upstairs you’ll find a sitting area and small library as well as the spacious king-sized master suite with a garden tub, large shower, and private deck. 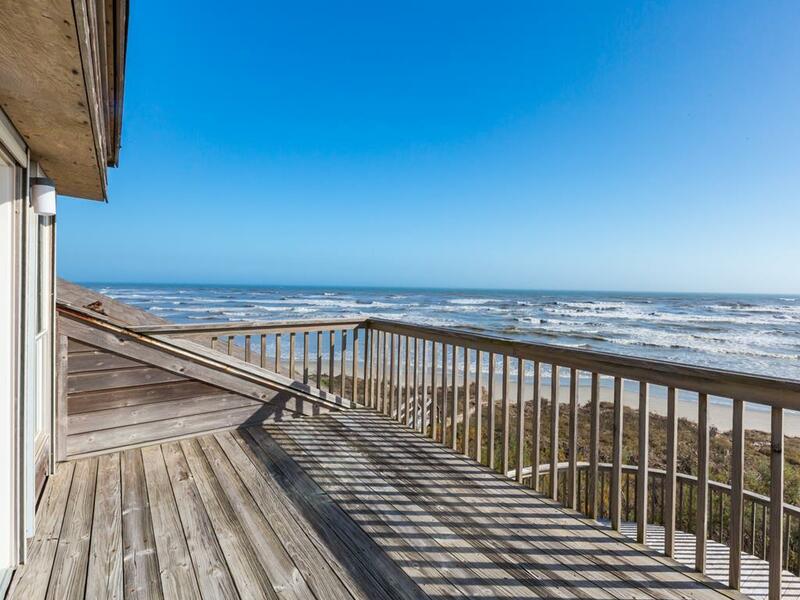 Soak in the sun on the huge deck or head right out to the beach! 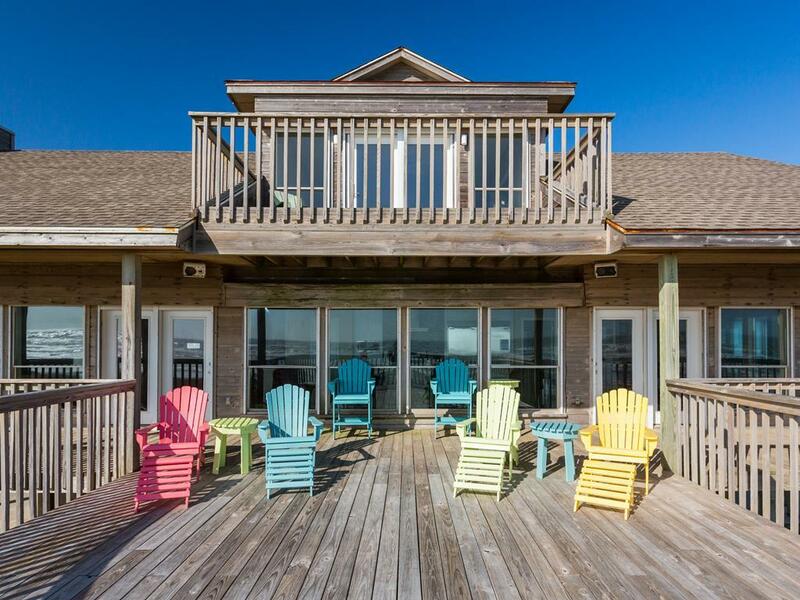 Great property for family vacation! 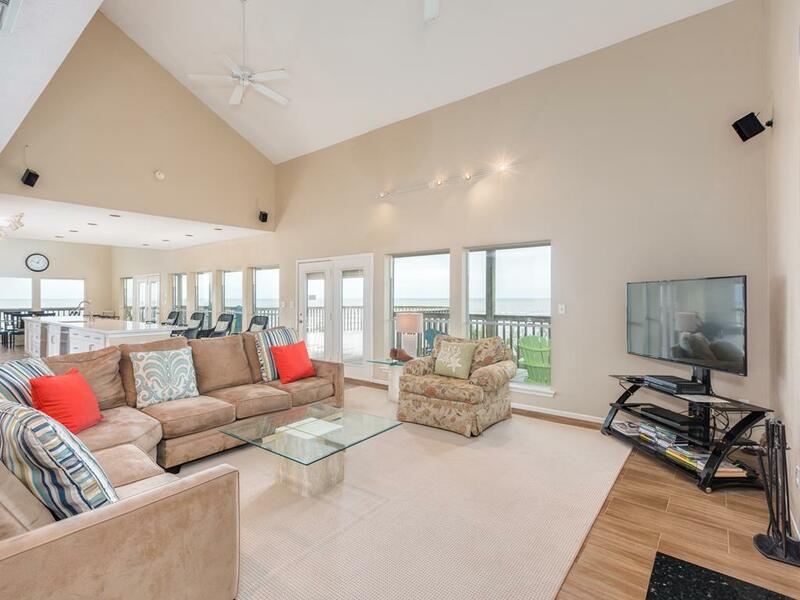 Lots of room and great access to the beach. 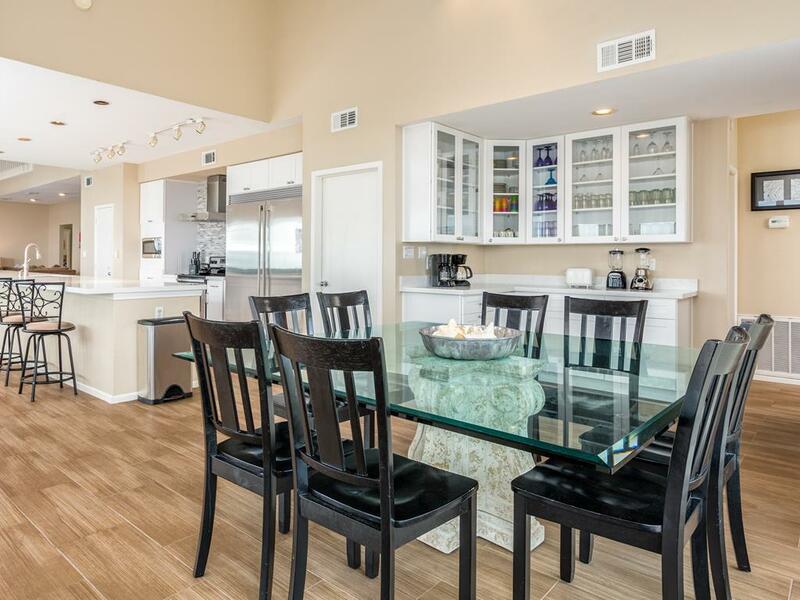 Large deck and generous serving island for large family meals. 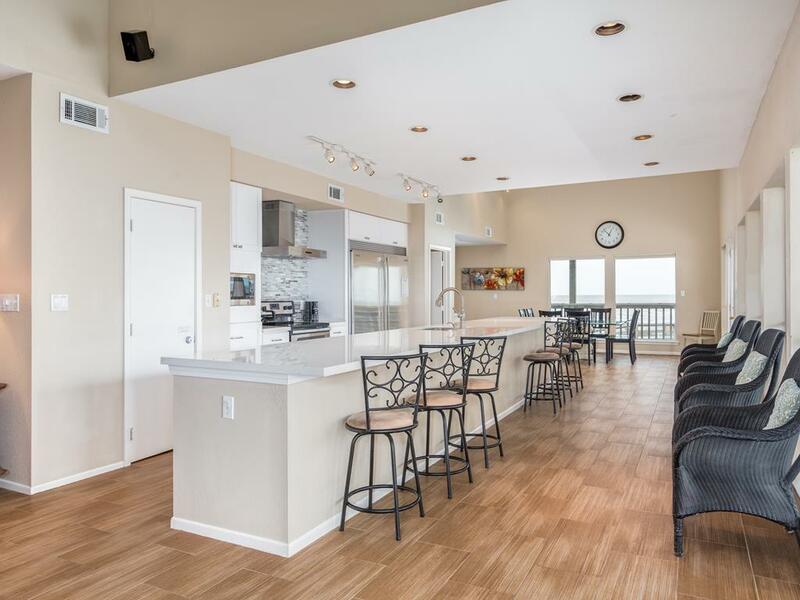 Very well equipped kitchen, comfortable beds and fantastic deck view of ocean. Upgraded kitchen was nice. Appreciated the new mattresses. 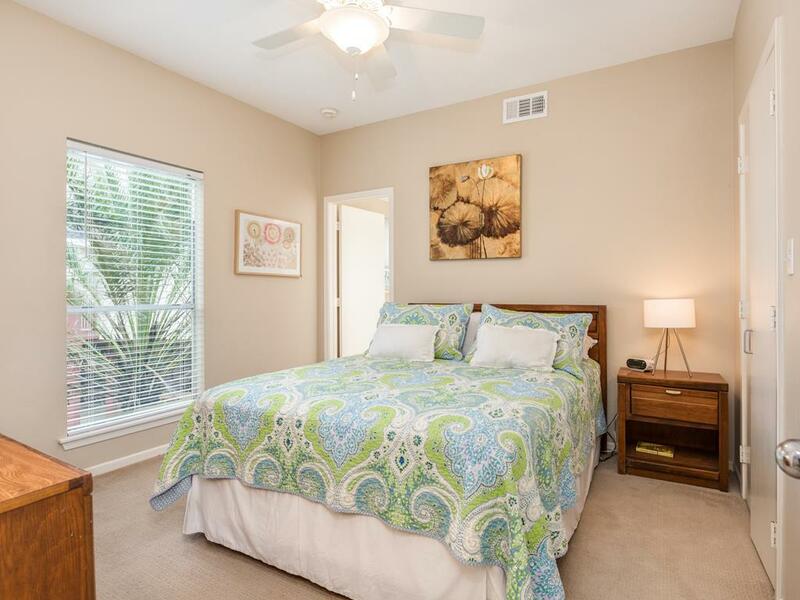 Comfy with lots of room for a large family. We’ve been staying at West wind for several years now and think it’s the best spot bar none for our family. And the layout is perfect for large family like ours. Look forward to seeing you again soon! We are glad you enjoyed your stay! Our Property Services team will be sure to address any issues with rough decking. We hope to see you again soon! Deck needs nails repaired. Make sure you have enough room for your own trash...cans may be full when you arrive. Call the office, they are willing to help you out! 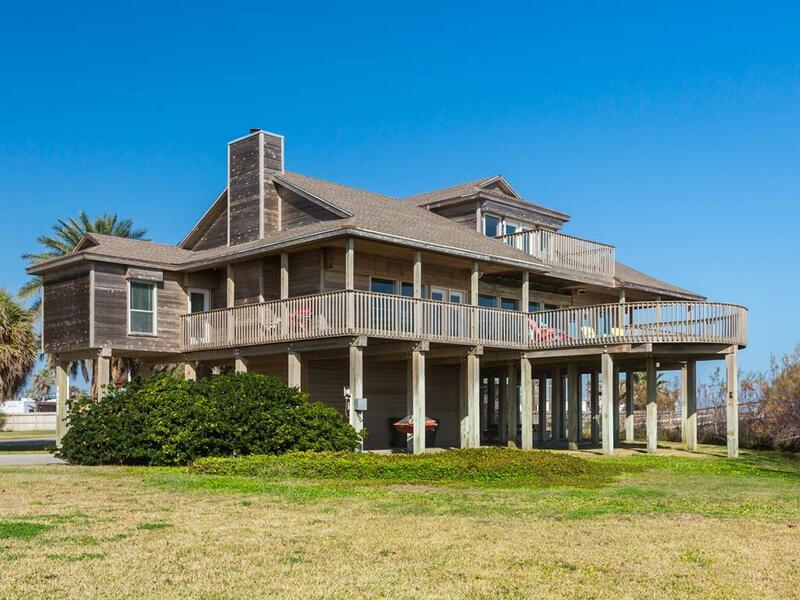 The West Wing was an amazing house; the beach was very private...Wonderful choice of real estate office and house! 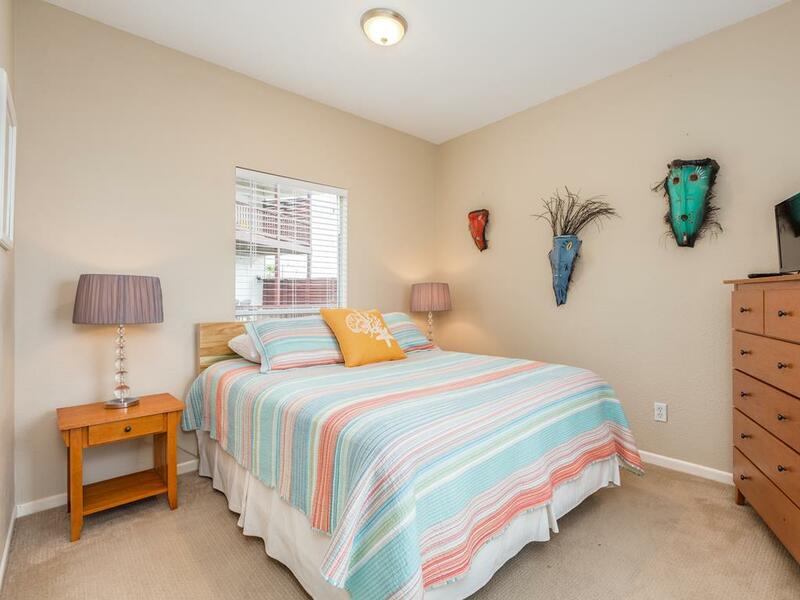 Great location, clean and spacious. Beautiful deck and view. 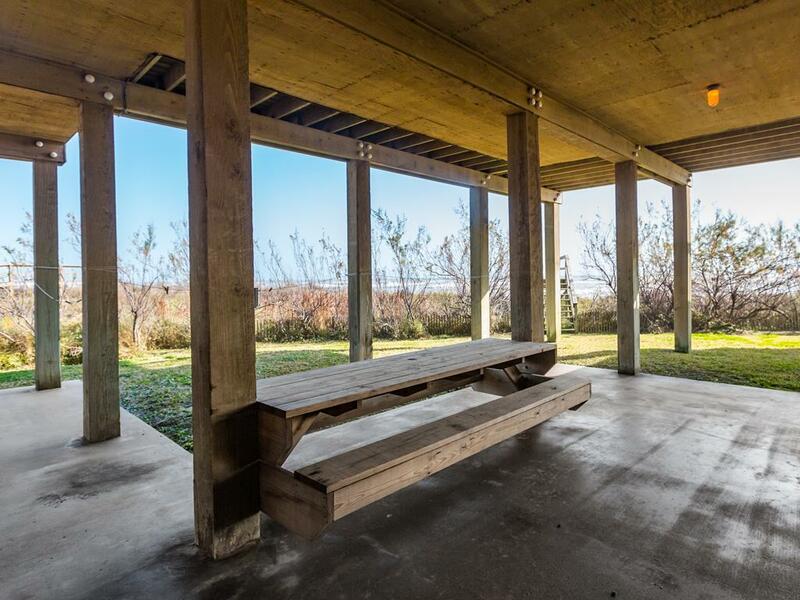 Great location and perfect for a large gathering. 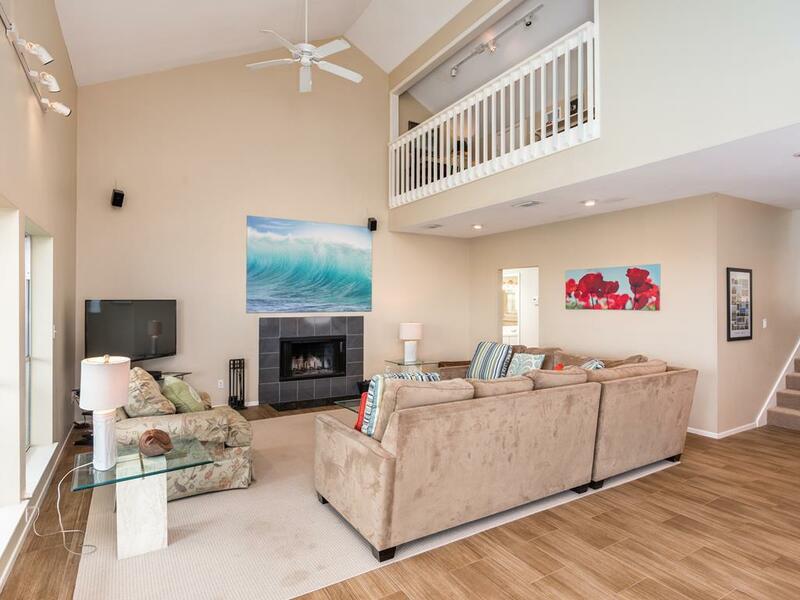 The layout of this home is excellent for a large family! Great place to stay for families, great location and beach. EXCELLENT property for a big group. Best equipped kitchen I've ever seen. 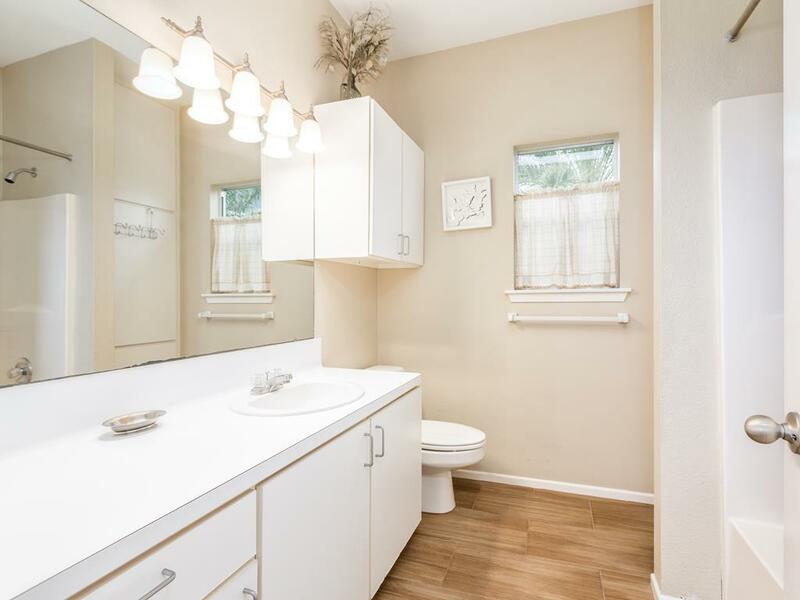 Great layout and lots of privacy for different families. Loved it! it was great 6 bedrooms and 4 bathrooms never any waiting in line, huge kitchen wonderful deck to sit out on and enjoy the view. 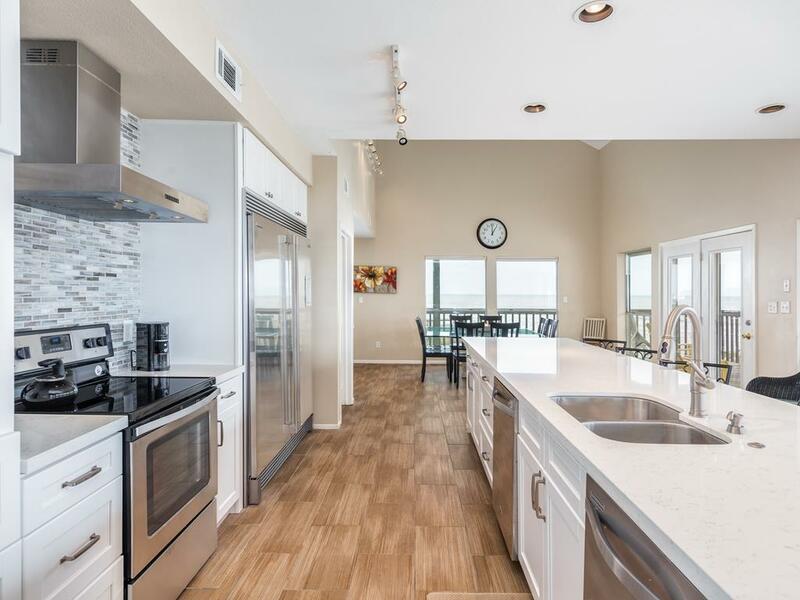 Excellent kitchen, dining living combo with great beach view. Large refrigerator and large freezer. The wraparound deck is huge with just enough shade. On the beach. How could you beat that! The house is wonderful for large families. All of the beds have good mattresses. Kitchen is well equipped. 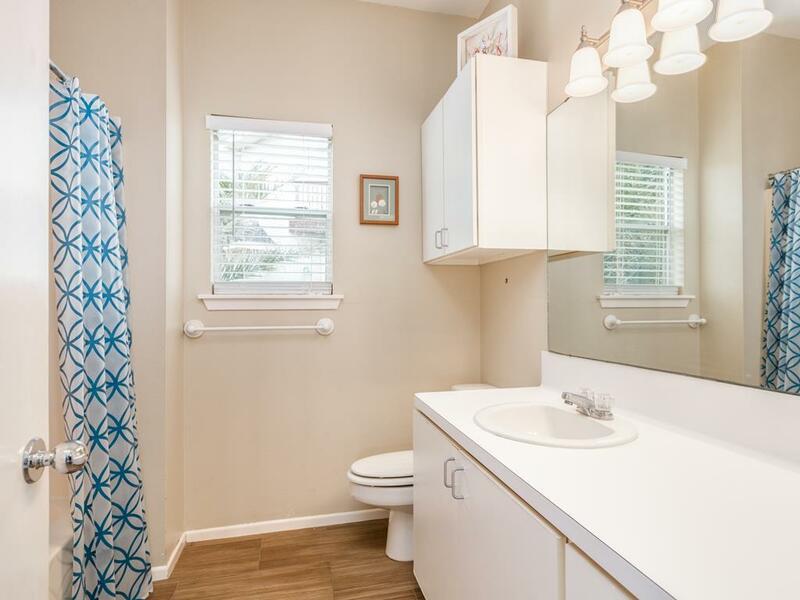 Didn't like the "open" master bathroom. But overall a comfortable house with an amazing view. This home is gorgeous! Love all of the windows and the huge deck. The kitchen is HUGE (much larger than it appears on the website photo)! Perfect for large groups with 2 dishwashers, 2 coffee makers, over-sized refrigerator & freezer, and tons of seating for dining or relaxing! 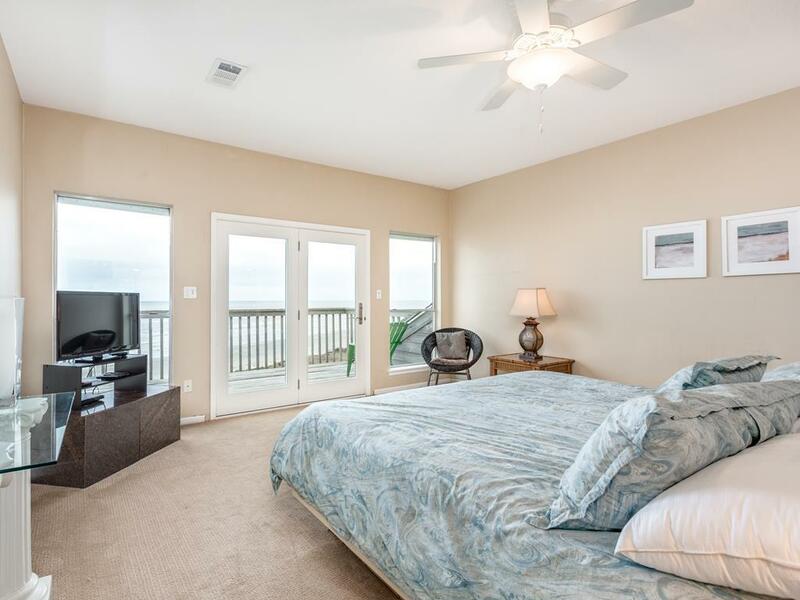 The master suite is an oasis with a breath-taking view of the gulf. All beds were extremely comfortable. This house was gorgeous and the layout was perfect for a large family, that we had our own areas of the house if we need our own space. 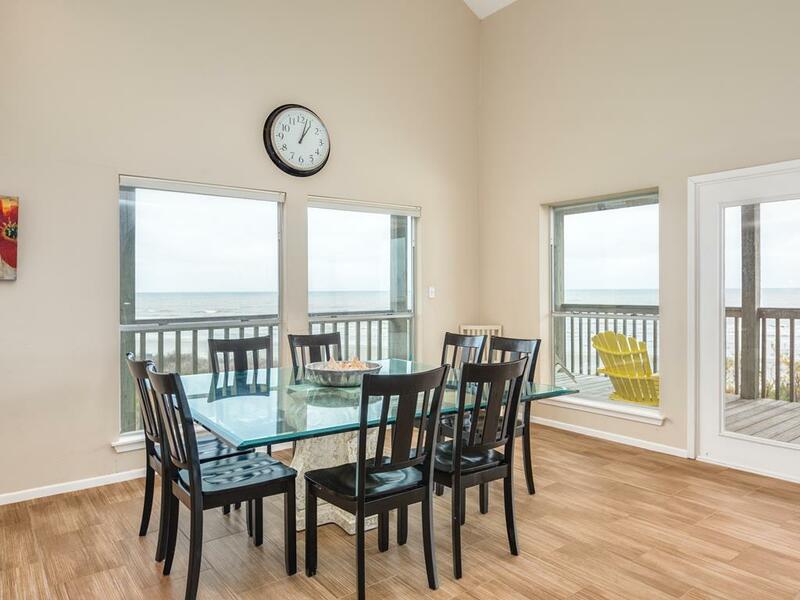 This house came equipped with everything we needed and was perfectly located on a beautiful part of West Beach. We loved staying at this home, it was big enough that it gave all of us private space and plenty of room for us all to be together, The ocean was great, the children loved the ocean. This house is Amazing! The kitchen is HUGE and easily accommodated our large group at meals. We've rented other houses and this is the first time every person had a seat at meal time. 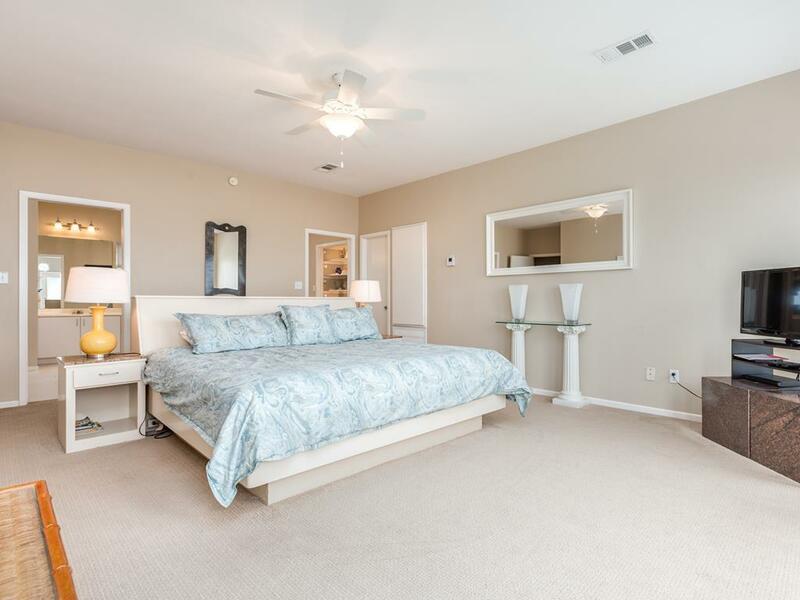 The pictures make the kitchen and living area look smaller than they really are and the bedrooms look bigger than they are, with the exception of the gigantic master suite upstairs. 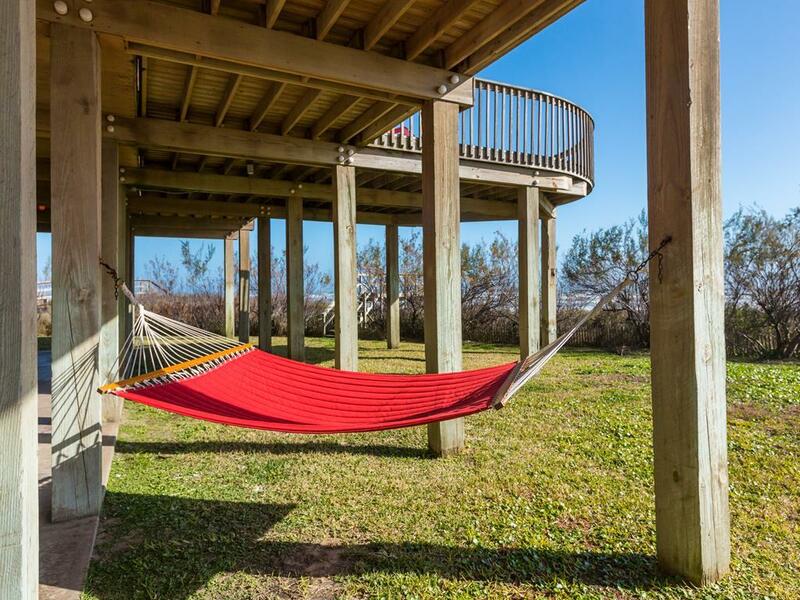 The deck is a great place to relax - there's even a hammock on the ground floor deck. Everything is well-maintained. You can't beat the beach access - nice,close and sturdy. We've already reserved the house for next year! Great experience! Any physical problem was taken care of within 24 hours! Cannot wait to return! Even some of my guests expressed interest in returning to the same house! This was a great house and we all voted to rent again, but there were a couple of things that would have made it better for a group of 16 people, although 4 were small. The outdoor grill was very small and we could have used more pots and pans. Lacking these things made preparing meals very slow, and we ate every meal at the house (because we hated leaving it). As a result, it seemed like we finished one meal only to start preparing the next. As mentioned in previous comments, there is no outdoor table. We brought one and it came in very handy. Due to insurance purposes, bunk beds are not made. It was very disappointing to arrive to find we had to make eight beds that are very difficult to make. A 10am check out time was very difficult for a group of 16 with three toddlers and one infant. We started the afternoon before, got up at 6 am the day of, and made it to the office a few minutes after 10. All that said, we had an incredible stay at a wonderful house. Our biggest problem is finding a time to get everyone back to Texas for our next stay. BTW, we were able to get wifi, which we were told the house did not have. I didn't name a rental agent to recognize in my survey response. It seemed like I dealt with more than one, but I am sorry to say I can not remember their names. Every one I had contact with was very helpful and friendly. Hello Suzy - we are glad you enjoyed your time at West Wind and hope you can get your group together again soon! We did want to let you know for next time that we keep extra household items (including pots, pans, dishes, etc) at the office and are always happy to provide them upon request. Just call the office during your stay and we will take care of you! Our family was elated and excited at the beauty and thought put into this home. We already have some that want to rent again soon, plus guests including locals are looking to rent. Hello Lankfords! We are glad you had a great time at West Wind! Each of our homes does receive regular pest control treatments, but we are always happy to schedule an additional visit to deal with any unwelcome visitors - just give the office a call during your stay! Great house. Our family loves it. The location of the house was fabulous, probably one of the best views on the beach. The house was very large and worked great for our family. Plenty of room even when it rained and we all had to be inside. Only wish they had internet connection. This propoerty easily accomdated our family of 12. With 6 bedrooms, large family room, seperate dining area and huge outside deck, we never ran out of space or felt like we were on top of each other. While we definietly plan to rent this property again, below are a few pros/cons you may want to be aware of (none of which deterred from us having an incredible Christmas/family vacation): Pros: Fantastic beach access and views Extremely large kitchen island Very well-stocked cabintry (plates, glassware, silverware - enough for family of 12) Huge deck on 2nd and 3rd levels overlooking gulf Cons: Pretty far from town (which we were okay with) Appliances are pretty dated(i.e. microwave) Beds are not super comfortable. Glass table tops (end tables and coffee table). For most people not an issue, we just had a 3 year old, who was at eye level with these and had to keep a close watch over him. 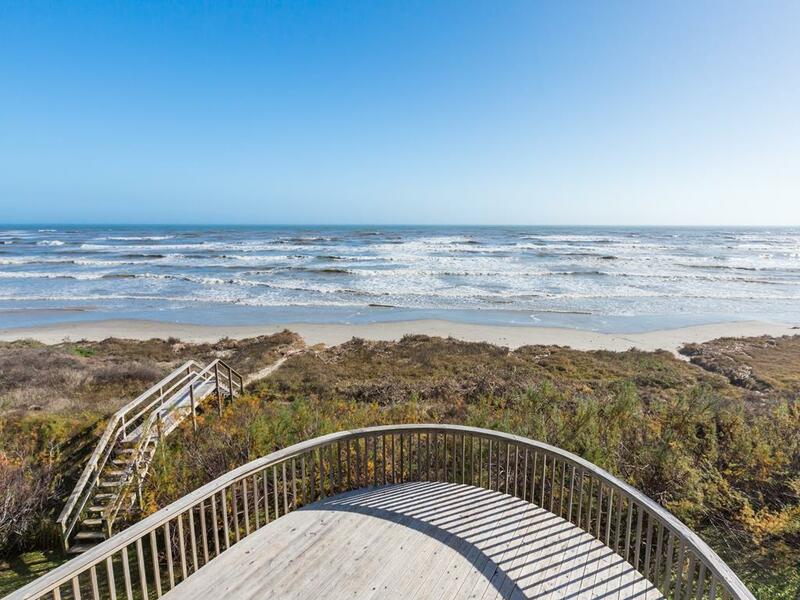 :) One other note, if you are interested in a Sand n Sea property, we highly recommend securing online! Once we arrived, we only had to show our ID/credit card, grab our goody bag and keys and were out of there in no time! I noticed this place is already booking up for the summer - if you have the opportunity we would highly recommend grabbing a few dates! You'll love it! You cannot beat the professional and friendly folks at Sand 'n Sea- starting with the owners. The house met our needs. It was very well laid out so that each couple/family had privacy. Great layout for sharing meals, drinks. Incredible deck. The inside of the house was a bit worn, but the incredible view made up for all! We all had a magnificent time it is a lovely house, really spacious and compfortable, homey. We would definately be there right now if we could. The children had a great time and we did not want to leave. This is a beautiful property. Well-maintained and comfortable. The cable TVs were excellent and reception great and there was a small one in each bedroom with a larger one in the Master and den. 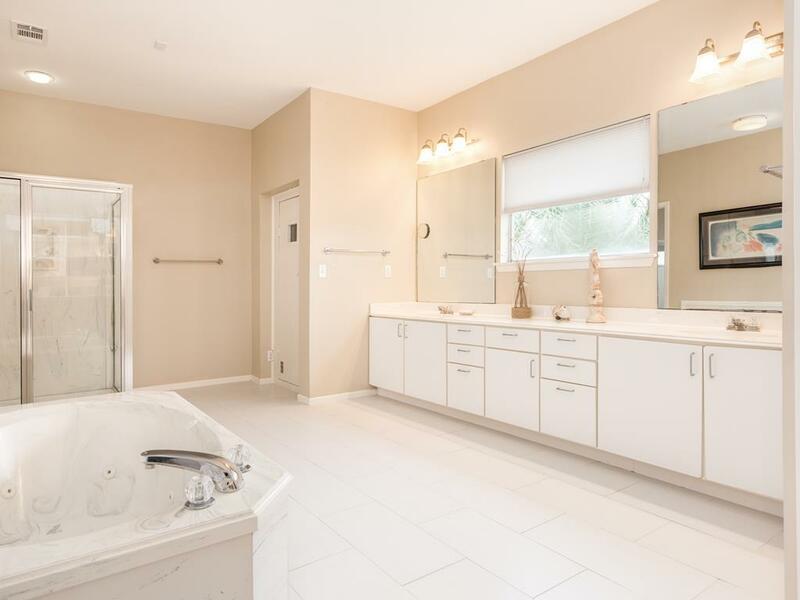 We loved the layout and privacy. The only thing that we would have added is a table on the deck. Take a card table to put outside for afternoon and evening dining and/or drinks. We loved it -- Indian Beach is the best we have ever seen. (we have been staying at Indian Beach for 9 years) The sand (fluffy and deep) and cleanliness of beach (they keep all trash picked up and sea weed raked to the dunes) could not have been better. We have already re-booked for next year. 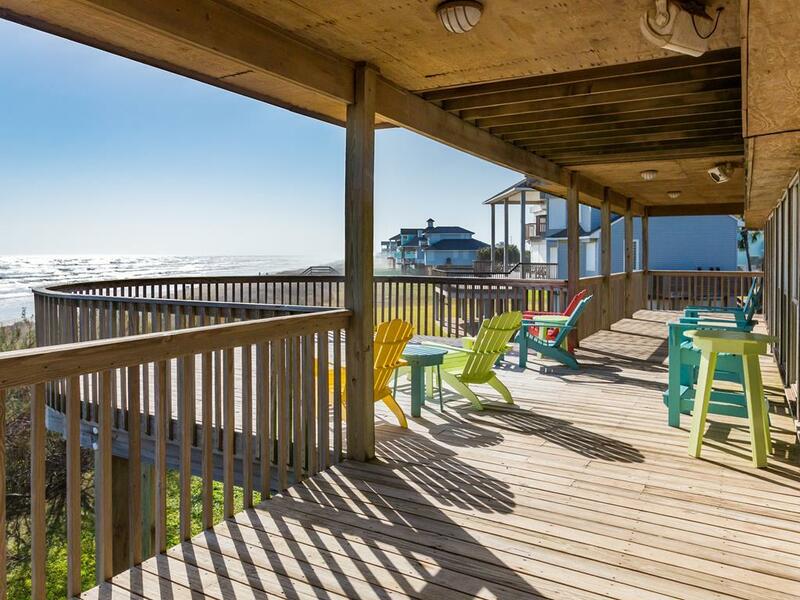 We have rented from Sand 'n Sea for more than 30 years. Now, we are bringing our grandchildren, as well. 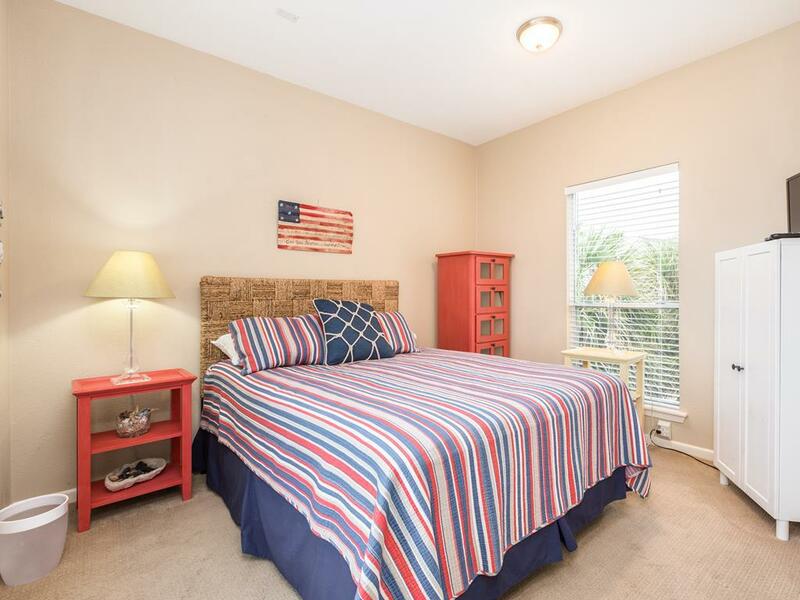 Especially with small children, Westwind was especially convenient to the beach, and had a great bedroom layout for our family. 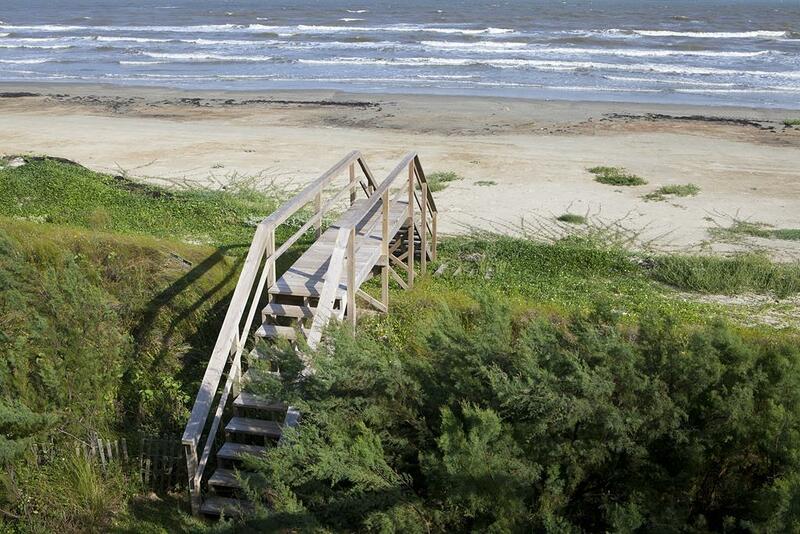 We had a great time in Galveston and the house we rented was perfect for all of our needs. We had a great view and the bedrooms were located in a good place.